California Governor Jerry Brown signed SB 493 on October 1, 2013, the pharmacist provider status legislation. The legislation, authored by State Senator Dr. Ed Hernandez and supported overwhelmingly by pharmacists, in California expands the scope of practice for pharmacists so they can collaborate with other members of the health care team. These expanded roles will result in greater patient access to care and will improve the quality and efficiency of the healthcare delivery system. Expanding Pharmacist Services – What Does this Mean for Me? Now that the pharmacist provider status bill has been signed by the Governor, many pharmacists are asking: “What does this bill do for me?” Click here to learn more about what you need to do in your pharmacy to implement these services. Obtaining provider status and additional scope of practice was the first step for pharmacists to contribute in broader ways to the health care team. Now CPhA’s focus has turned to ensuring that payment systems support pharmacists in these new roles. 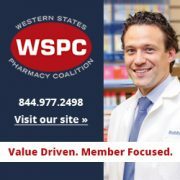 Click here to learn more about payment for pharmacist services. Be Proactive. Let you and the services you can provide be found by claiming your Pharmacy Profiles profile. 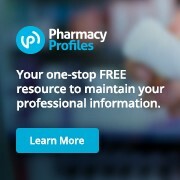 CPhA has partnered with Pharmacy Profiles, a subsidiary of APhA, to provide pharmacists a FREE tool to help you maintain all of your professional information in one place. Claiming your profile is easy, takes just minutes, and positions you to be found by payers. 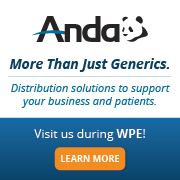 Continue providing the best care for your patients and share your profession’s impact in improving health outcomes and reducing costs. As demand for pharmacists’ services increases, increased pressure will be put on payers to cover these pharmacist services.